Sons of Anarchy returned last week with a record-breaking premiere. The premiere explored some very dark and disturbing storylines. Kurt is not one to shy away from controversy, but many say that he crossed the line. Let me ask you this – If you don’t speak about something does it go away? What would you tell someone who is so distraught that they think violence is the only answer? You don’t tell them anything; you listen. In order come together as a society, we need to reflect and open a dialog about why this goes on and what we can do to eradicate the violence. I can assure you that the school shooting storyline was not gratuitously thrown in. It has a purpose, perhaps one that is even greater than intended. 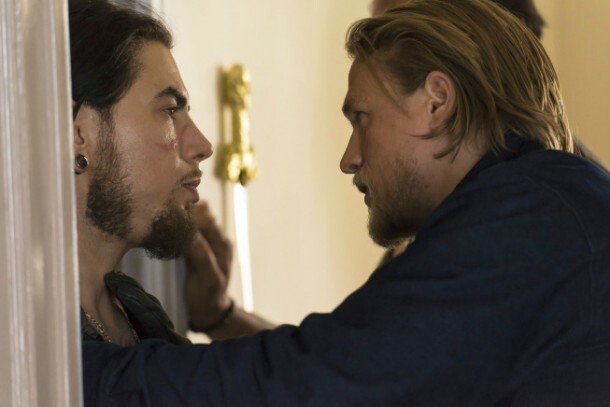 “One One Six” – Jax deals with collateral damage as external pressure continues to stack up against SAMCRO. You will learn more details about the school shooting tonight. It’s not an easy road to travel. Tig (Kim Coates) hasn’t had it easy and last week he let his instincts take over. Should he have displayed his dominance like that? I hope he didn’t catch anything from that rancid tub. Will Clay (Ron Perlman) fight for his life? What hope does he have left? Lee Toric (Donal Logue) is a heartbroken and mysterious man that is all about retribution. You know what he wants but will he be able to accomplish it? We experienced a lot of Lee last week to know that there is a lot of fueling that unstable fire. Tonight’s episode is no exception. You see how far he is willing to go and next week, don’t even get me started about the Toric we meet next week. It’s good to know that Opie (Ryan Hurst) will never be forgotten. Oh Jax (Charlie Hunnam), why do you feel the need to unleash your gentleman’s sausage any chance you get? Tara (Maggie Siff) hasn’t even been gone long and there you go. It’s an all too familiar route. Jax’s biggest nemesis is himself. Sometimes the best words are no words at all. 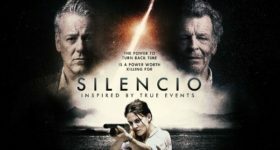 Silence is a brilliant and often unused art form. They use it beautifully in this episode. Some of the conversations and actions in tonight’s episode are going to wear heavy on your soul. Okay, that pretty much describes every episode of Sons of Anarchy, but what a season. Cch Pounder, Steve Howey, and my personal favorite C. Thomas Howell guest star. Next week’s episode is my favorite of the season so far. Watch Sons of Anarchy Tuesday nights at 10 only on FX.